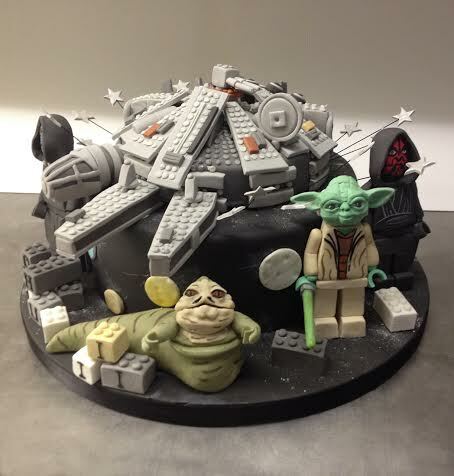 The ultimate birthday cake for a Star Wars fan. 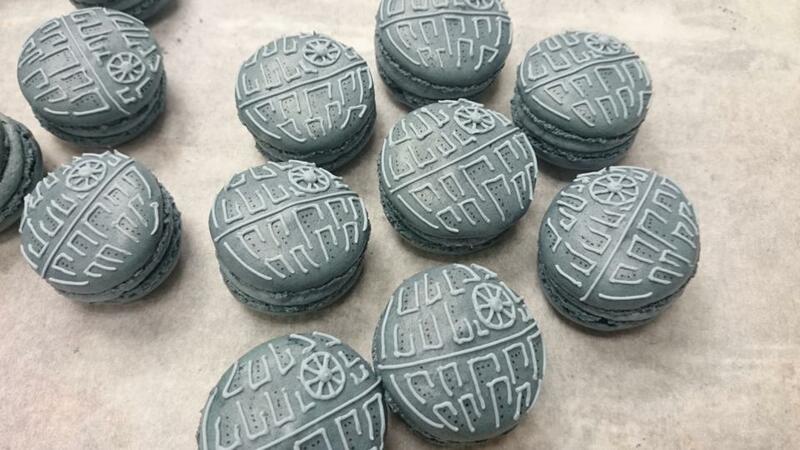 The Millenium Falcon! 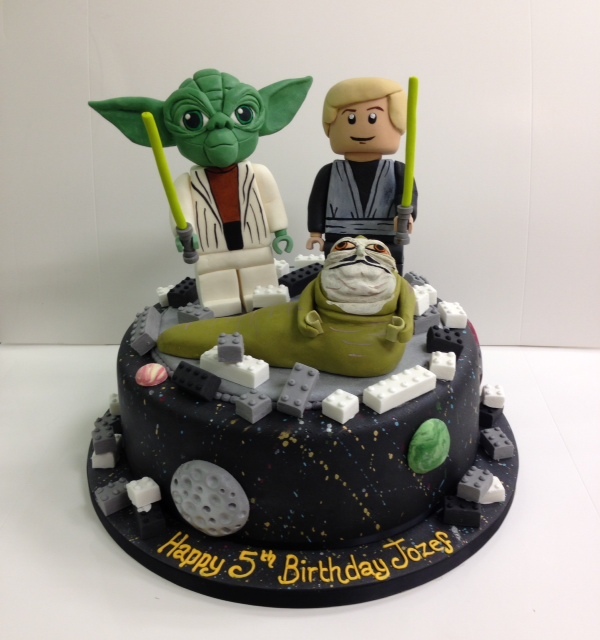 With the much awaited arrival of the new Star Wars film in November 2015, we anticipate lots of Star Wars birthday cake orders coming our way. To be honest it is already pretty popular in both the normal character form and increasingly the Lego Star Wars ones too. We love them both! 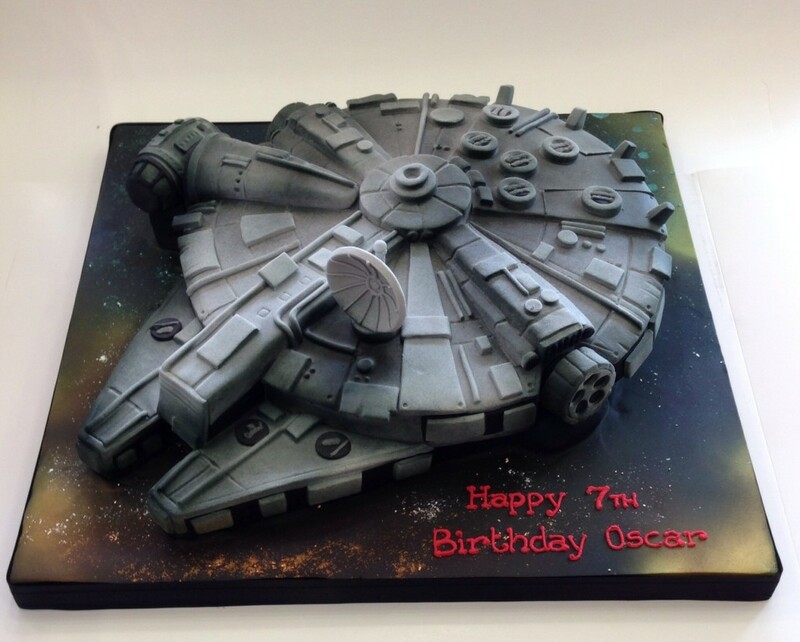 My favourite is the Millenium Falcon Star Wars cake that we did recently. 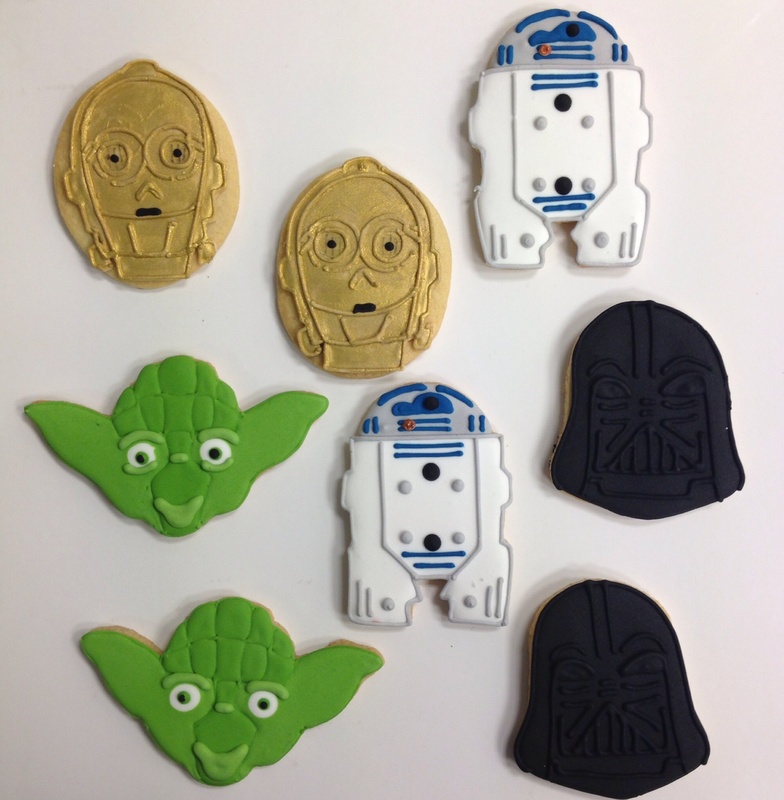 We used our new favourite air brush tool which creates the best spacey effect. Each sugar model character is pretty detailed so would cost £75. 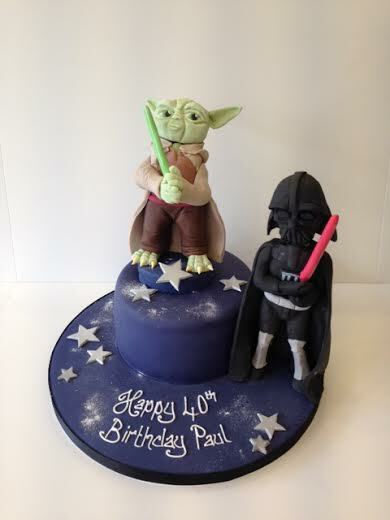 A cake to feed 15-20 portions with one character and some details around would cost in the region of £140. Get in touch with your ideas!